February 19, 2018 February 19, 2018 kateintrainersLeave a Comment on My Plan or Yours? I’m still struggling along a bit at the moment. Everything seems really pointless and I just feel utterly wiped out. Usually running helps but, I don’t know, meh? I’ve been feeling so tired that running hasn’t seemed like a good idea. So, instead, I’ve rested, and rested, and then I’ve rested some more. Resting has given me some thinking time to try and figure out what is going wrong. Well, the first thing I’ve acknowledged is that my mental health conditions can result in me being extra tired sometimes, along with wreaking havoc on my moods and motivation. Of course. 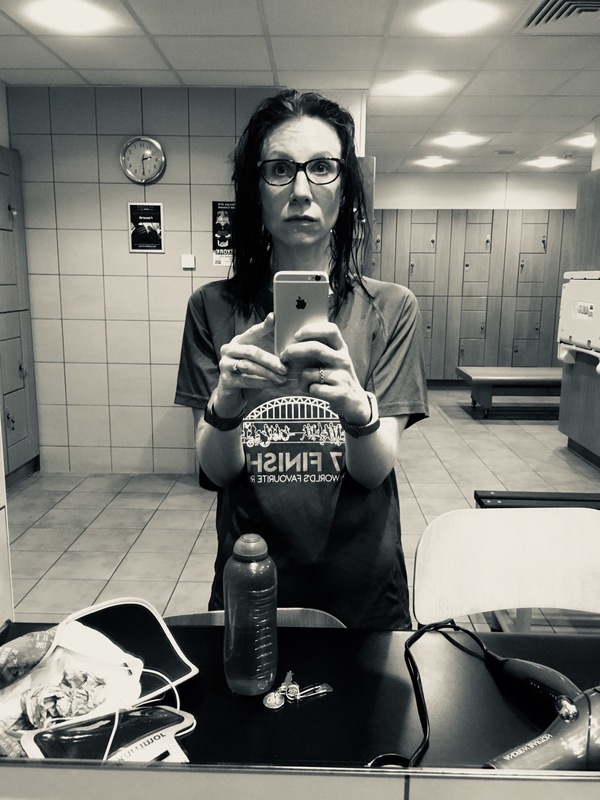 Right, got that: mental health stuff – check. Yawn. I’m so bored of my stupid mental health stuff. So, ignoring (or acknowledging or whatever) the mental health bit of this; what is causing this loss of mojo? Where has it gone? Why do I just not care? And I get to this: my training plan bores me. Yes! Hallelujah! 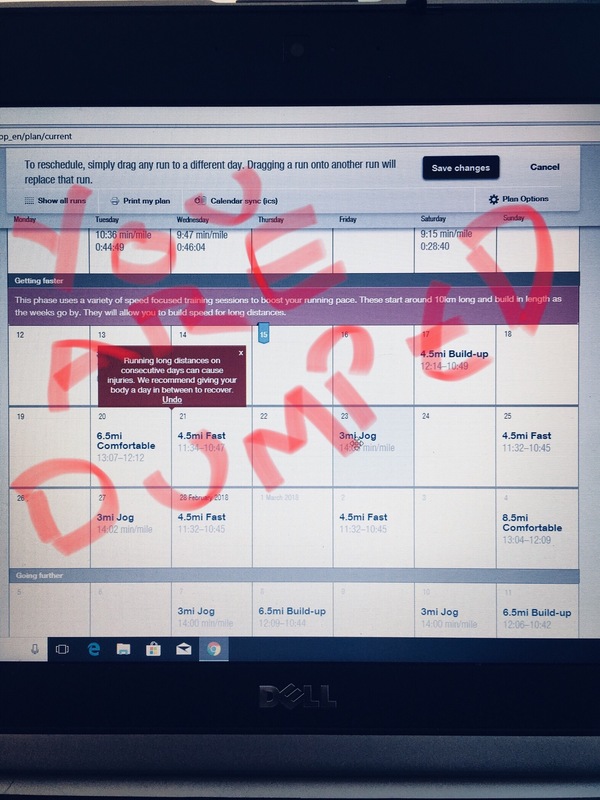 I can finally say it: training plan, you BORE me and YOU’RE DUMPED! Oh the relief. It feels sooooo good. I’ve never been great at following plans. I read up about different training plans and techniques and then take a bit of one, splice it with a bit of another and then sprinkle in some Kateness to make it juuuuuuuust right for me. But, here’s the thing – I decided to properly follow a proper training plan using My Asics. I figured that if I really want to achieve my goal (running the Leeds Half in under 2:20 aka beating the husband) then I should hand it over to the experts. These people must have so much data and I love data. 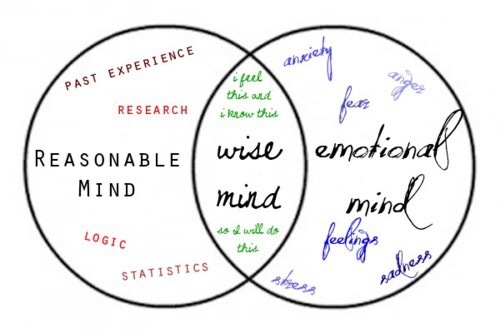 I’m a scientist – I’m all about the data but, I was doing one of my classic borderline mistakes – I was only approaching my training with ‘reasonable mind’ and completely ignoring my ’emotional mind’. See the Wise Mind bit uses both emotion & logic? Aha! (If you’ve done DBT you’ll be all over that emotional mind/reasonable mind shizazz. If not enjoy the handy diagram). Anyway, the result was misery. I flippin’ hate being made to do things! Hate it. HATE IT. I need to feel that I have choices and, super importantly for me, that I have control. Control is a big deal for me. My progress towards my goals should be determined by me. I should choose the runs that I feel are right for me. After all, running is about freedom for me so removing that freedom with a rigid training plan took away a whole heap of the joy that I get. Yes, I do get joy from monitoring my progress and deciding what to do next because it rewards my choices with achievement. My choices didn’t matter, The Plan had already decided what I would do next. No, no, no and NO! So, that’s it. The training plan will be ditched. Woohoo! Do a little dance, run a little run, get down tonight (or whatever). Can I get a fist bump? I’m going to do my own thing and I already feel better for knowing that. If I’m very lucky then I might just squeeze a place in a last minute 10k race this weekend. Is it part of The Plan? Absolutely! It is part of The Plan to have more fun again; my plan.